The Sakawagawa River was once referred to as the “Rampage River”, and the “Bunmei-zutsumi” settlement was built along its banks in the Edo era. After a long time passed, rice paddies spread downstream. In addition, at the upper reaches of the east side of the Bunmei-zutsumi settlement along the banks of the Sakawagawa River, you can observe the sedimentary remains of the volcanic flow the eruption of Mt. Hakone far upstream approximately 66,000 years ago. 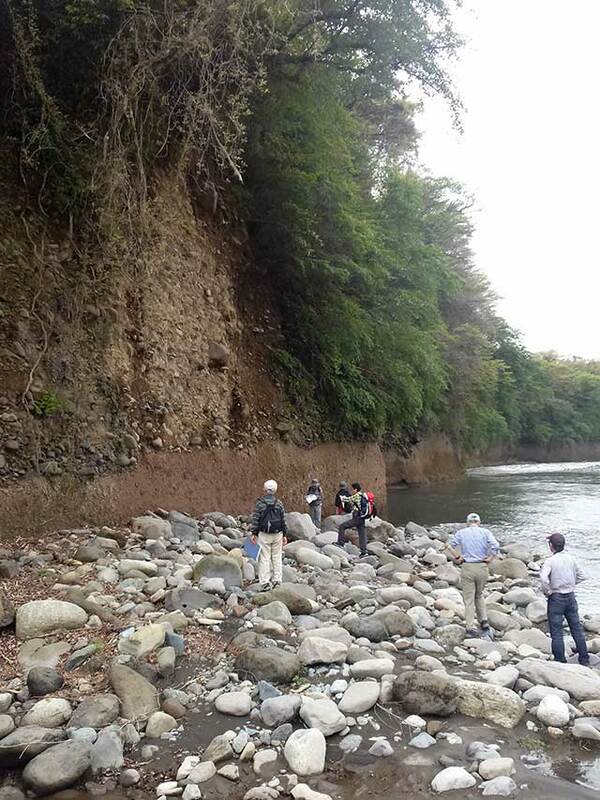 This area is an ideal site to trace the path of the Hakone volcano site eruption and the history of flood control work of the Sakawagawa River.